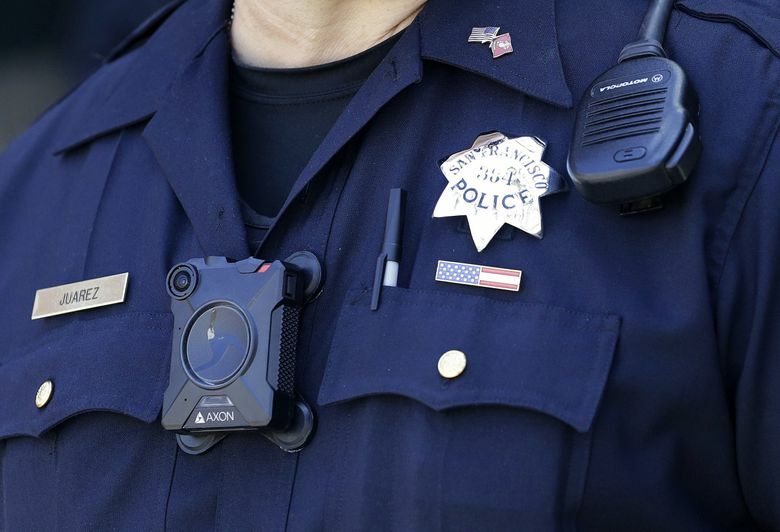 Negotiations over the issue have left unclear when the rollout of a body-camera program approved by a federal judge will begin. More than a month after a federal judge approved the Seattle Police Department’s long-awaited proposal to equip officers with body cameras, the timing for the rollout remains clouded amid tense labor negotiations. 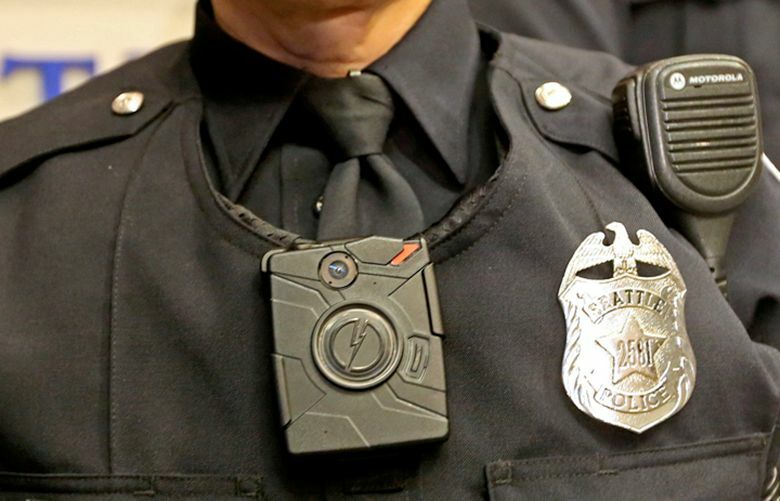 The Seattle Police Officers’ Guild, which has a history of trading wage hikes for reforms, has asked for extra pay of about 1 ½ percent for officers who wear body cameras, according to three sources familiar with the talks. 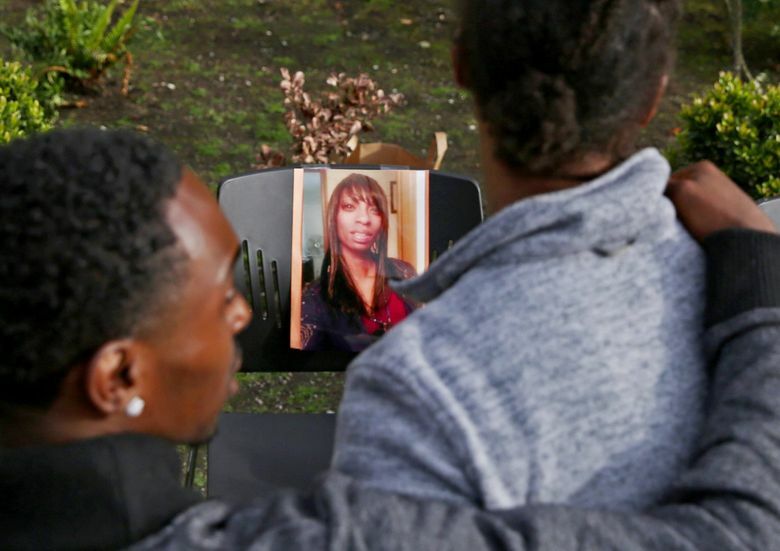 The negotiations come at a time the issue has come under sharper scrutiny after no video evidence was captured of Sunday’s highly charged fatal shooting of a 30-year-old African-American woman by two white Seattle police officers in her Northeast Seattle apartment. Only audio of the confrontation was recorded, leaving many questions about what occurred when the officers shot the woman, Charleena Lyles, after she allegedly displayed two knives. Danny Westneat: The fatal police shooting of Charleena Lyles cries out for body cameras. But 7 years on, we still don’t have them. There are several more commands to “get back” before they open fire on Lyles as at least one child could be heard crying in the background. U.S. District Judge James Robart’s approval last month of the SPD’s body-camera proposal cleared the way for the city to begin formal talks with the guild over equipping patrol officers. Robart is presiding over a 2012 consent decree between the U.S. Justice Department and the city, mandating Seattle police adopt reforms to address excessive force and biased policing. The decree requires all use of force be fully, fairly and accurately reported, investigated and reviewed. Robart and his court-appointed monitor, Merrick Bobb, have pushed for body cameras. The guild, which represents about 1,275 officers and sergeants, has been working without a new contract since the end of 2014. Last July, its members overwhelmingly rejected a tentative, four-year contract with the city, prompting further negotiations over wages and management rights that would give the police chief more authority over promotions, rotations and transfers. The body-camera discussion has been drawn into those negotiations, with the guild’s request for extra pay in line with other cities where the issue has arisen, one source said. There is still room to reach agreement, a second source said, even as contract talks overseen by a mediator recently reached a stalemate. A last-ditch effort was under way to avoid the rare step of turning to binding arbitration, according to the first source. City Council President Bruce Harrell, who has long pushed for body cameras, said Wednesday he has favored separating the body-camera issue from the larger contract negotiations and moving forward with the rollout. He said he hoped the guild would voluntarily agree to that, but he was willing to risk a legal challenge from the union on whether the cameras represent a change of working conditions that must be negotiated. “I’ve never believed it has to be bargained,” Harrell said. In past years, guild members in 2000 voted down a contract that included new civilian oversight, ratifying it only after the city sweetened its salary offer. In 2008, O’Neill, who was then guild president, made Seattle police officers the highest paid law-enforcement officers in the state under a labor contract in which the union conceded to 29 recommendations aimed at improving police accountability. Acting behind the scenes, O’Neill led the successful effort to defeat last year’s proposed contract, according to sources familiar with his efforts. During O’Neill’s tenure as guild president from 2006 to 2014, he garnered a reputation as a staunch defender of collective-bargaining rights who worked tirelessly for his members. But he alienated people in city government and the community with comments that excessive-force complaints had been overblown, and SPOG’s newspaper, The Guardian, published articles bitterly attacking the Justice Department. In 2013, after the federal reforms were agreed upon, O’Neill struck a more conciliatory tone, saying it was time to put aside complaints and “move forward” with the changes. At a court hearing last August, Robart, pointedly reacting to the union’s rejection of last year’s tentative contract, said he would not let the labor group hold the city “hostage” by linking wages to constitutional policing. “To hide behind a collective- bargaining agreement is not going to work,” Robart said.